A recent report indicates that bad bot activity is on the rise and nearly half of all originate in the U.S.
There’s an infestation on the Internet, and by all accounts, it seems to be getting worse. According to a recent report from Distil, a provider of bot detection and mitigation software, bad bot activity increased nearly 50 percent and now accounts for over 23 percent of all web traffic. What’s worse, activity from good bots decreased and the bad guys now outnumber the good. Many reports have indicated China and Eastern Europe as the origin of most bad bots. However, the report points to the U.S., Great Britain and Germany as hubs for bad bot origin. In fact, the U.S. was identified as the origin for nearly half of all malicious bots. The report also indicates that hosting providers are a haven for bad bot makers. In fact, more than 1,100 ISPs or hosting providers serve more than 70 percent of the bot traffic. The problem for the ISPs, according to the report, is that monitoring and cleaning up the bad bots on the servers could result in sharp increases in the cost of business. Perhaps this increased cost of business is a necessary evil, particularly for residential ISPs. 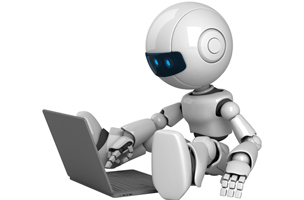 Distil expressed concern with regard to the number of bad bots originating from residential ISPs. “This implies a large population of infected computers behind the ISP, which could mean compromised servers that are spreading a bot infection,” the report says. According to the report, the financial services industry had the highest number of organizations serving bad bot traffic. Indeed, one company had more than 120 million requests from bad bots, which accounted for nearly all the company’s traffic. The report also warns about the increasing presence of bad mobile bots, which is up more than 1,000 percent. The report attributes the increase of bad bots on mobile, to the increasing shift to smart phones and other mobile devices. Download the full report for more information on the bad bot landscape.